'Green Aiders' come to the rescue of Watford's residents! Garston resident Tony Hare will turn 80 on Bank Holiday Monday, but his birthday came early when he was chosen to be one of the many who has recently received help from the 'Green Aiders'. A team of friendly volunteers and experienced staff from the charity Groundwork visited him to provide a garden clean-up, which meant that his outside space has now become much more manageable and enjoyable to use. “I was more than happy with the job that was done – they helped me a lot,” Tony explained. “They were very helpful and friendly, and took a great weight off my mind. 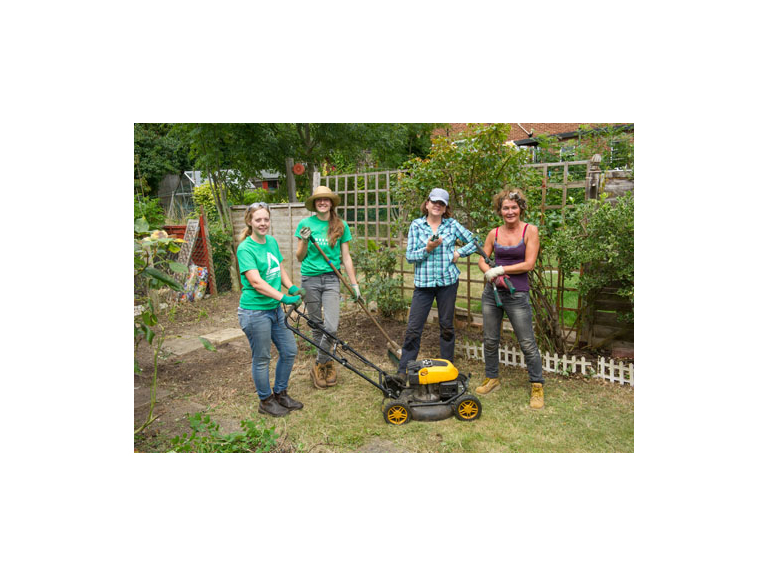 Organised by Watford Borough Council, the council scheme provides free gardening help to elderly, disabled and vulnerable residents in Watford and the local area. They offer a one-off clean-up service for people whose gardens have got out of hand. Do you know someone who would benefit from a team of Green Aiders for the day? Or would you like to become a Green Aider and help local residents in need? Simply call Groundwork on 01909 260129 or send them an email for more information. The scheme is available to private home owners and private rented tenants; restrictions apply. It is funded by Watford Borough Council and run by Groundwork and will be continuing until at least March 31st 2016.